She pilloried former Congressman Billy Tauzin for doing the pharmaceutical lobby’s bidding by preventing a bill for expanded Medicare coverage to include a program to negotiate lower drug prices. “In December of 2003, the very same month the bill was signed into law, PhRMA — the drug companies’ biggest lobbying group — dangled the possibility that Billy could be their next CEO,” Warren said. 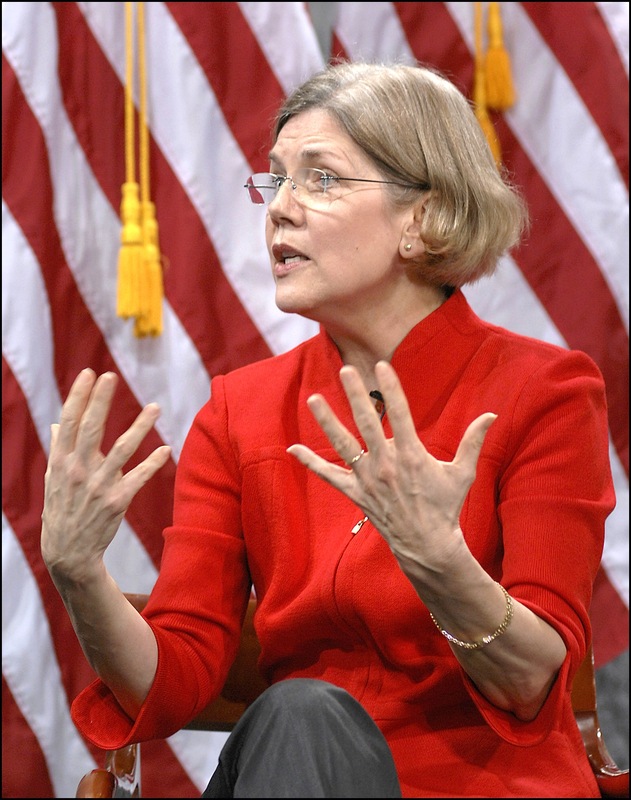 But Warren’s laudable tenacity in ripping corporate lobbyists’ “pre-bribes” evaporated when faced with a question on the bloated U.S. military budget and ongoing Israeli assaults on Palestinian children. Alexandria Ocasio-Cortez, the Democratic progressive who shocked the party by upsetting incumbent Congressman Joe Rowley in a New York primary election in June, had been mentioned earlier in the press conference. So I asked Warren if she agreed with Ocasio-Cortez who has proposed “slashing the military budget to help pay for human and environmental needs.” I also asked her if she would consider introducing and sponsoring [a version of] Rep. Betty McCollum’s (D-MN) bill on Palestinians children’s rights in the Senate?